When I was working as a general assignment reporter for a public radio station, if you would have told me that one day I’d serve as a pro-life lobbyist, I would have laughed. After all, despite eleven years of Catholic education, my thinking had evolved on the issue of abortion. Having grown up in the post-Roe era, I could not imagine America without legal abortion. Without legalized abortion, wouldn’t desperate women simply self-abort? And though I never considered abortion to be a good thing, it seemed a necessary evil. And those self-described “pro-lifers”—why did they have to harass women outside abortion clinics? Weren’t they like the street preachers who screamed at passersby, proclaiming the name of Jesus while condemning all women in their path? But then a curious thing happened. A pro-life friend introduced me to literature that described the development of the unborn child. Even though as a journalist, I had written many stories about abortion—even winning an award for one—I did not know that a human heart starts beating 24 days after conception, or that brain waves can be detected at 43 days. I had no idea that at 49 days after conception, a preborn child looks like a little doll. If that were true, I reasoned, there could be no justification for abortion. Once these facts were staring me in the face, I came to the conclusion that the pro-choice position was based on some false assumptions. If I truly believed in the dignity of women, how could I deny the dignity of the woman in the womb? Did not that female child have just as much of a right to live as me? If I were that girl, wouldn’t I want adult women to fight for my rights? I also became aware of some groundbreaking research indicating the harmful effects of abortion on women—the increased risk of substance abuse, suicidal ideation, eating disorders, and breast cancer. Rather than empowering women, abortion seemed to exploit them, leading to a host of problems, while solving none. My maternal grandmother was a suffragist, and my strong, caring mother instilled in me an appreciation for women’s rights. My father was extremely encouraging, telling me that I could achieve whatever I put my mind to. It was their unwavering support that enabled me to excel in school and to pursue my dream of becoming a broadcast journalist. I remain a feminist—but one who recognizes that legal abortion is not a pathway to female empowerment. I support the overturn of Roe v. Wade for the good of the nation, but more specifically, for the advancement of women. I want the best for my daughter—and that means a world in which pregnant women are supported, nurtured, and celebrated. 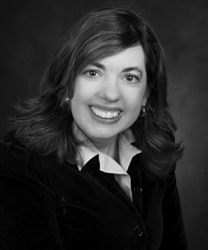 Maria Gallagher is the Legislative Director of the Pennsylvania Pro-Life Federation and has written and reported for various online, broadcast, and print media outlets, including National Public Radio, CBS Radio, and AP Radio.